 Find out why American Heating And Cooling has been the trusted Air Conditioning Services provider for the Nashville area since 1981. Since 1981, American Heating & Cooling has been providing exceptional HVAC services and products to homeowners and businesses in the greater Nashville area. During that time, we’ve earned an unparalleled reputation for quality, trust and customer service—three pillars that, as a local family owned and operated company, we’ve been committed to since day one. For Nashville homes and businesses, this trust and reputation are critical. From AC design and installation to ensuring your systems are efficient—and always up and running—our expert team can help. Get in touch to learn more and book a consultation now. It’s essential your air conditioning system syncs with your home or office—too much AC can be costly and inefficient, and too little can leave your space hot and stuffy, especially during hot Nashville summers. Working with our expert team, we’ll assess your needs, timeline and budget and, from there, assemble a custom AC system that’s right for you. The end result: a custom air conditioning system that works and that keeps your space cool and comfortable all year long. Once we’ve selected the right AC system for you and your home or office, we’ll schedule quick installation to ensure your space is always cool and comfortable. Our team includes expert technicians, engineers and support staff to ensure the install process is smooth and efficient—and to ensure your air conditioning system is installed right the first time. Different parts of your home likely feel warmer or cooler, even though your thermostat is set to the same temperature. HVAC Home Zoning can correct this issue, and help you maintain better, more efficient heating and cooling from room to room, floor to floor. By using dampers in the ductwork, HVAC Home Zoning funnels air to different parts of your home, accounting for the differing temperatures. Not only will your space be more consistently comfortable, but your heating and cooling bills will be more level—and, likely, lower—all year long.